A veterinary ophthalmologist is a doctor who specializes in diseases that affect the health of the eye, its surrounding tissues and structures, and vision in animals. They combine medical and surgical treatments in order to effectively treat your pet’s vision problems. 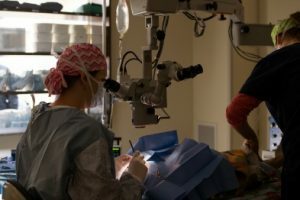 While primary care veterinarians can diagnose and treat many routine eye conditions, some eye diseases and injuries that affect pets require the care of a doctor with advanced specialty training in veterinary ophthalmology. 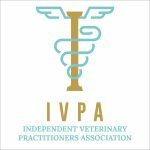 In some cases, your primary care veterinarian may simply consult with the Ophthalmologist about your pet’s condition and care. In other cases it may be necessary to refer you and your pet to our facility for more advanced diagnostics and treatment options. 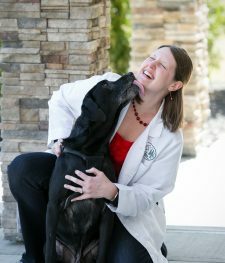 A veterinary ophthalmologist’s specialty training and education is focused on helping to effectively manage or cure ocular conditions while enabling pets to continue enjoying the highest quality of life possible. 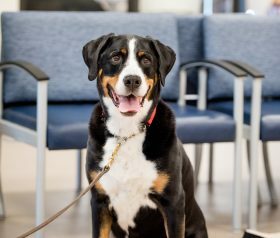 Working together with your primary care veterinarian as part of your pet’s complete health care team, a veterinary ophthalmologist can provide specialized input concerning your pet’s ocular health and vision. If your pet requires specialty eye care, speak with your family veterinarian about a referral to Upstate Veterinary Specialties. 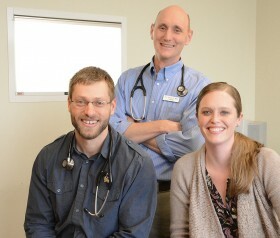 Our veterinary ophthalmologists Dr. Christa Corbett and Dr. Keith Montgomery and the team at UVS can work closely with you and your primary care veterinarian to diagnose and manage your pet’s eye disease or condition. If you’re a referring veterinarian seeking more information about veterinary ophthalmology services available for your patients at UVS, contact us today at (518) 783-3198 or quickly and easily refer a patient using our convenient online referral form.